Home / interviews / Interview with VK of Vassafor!! Interview with VK of Vassafor!! 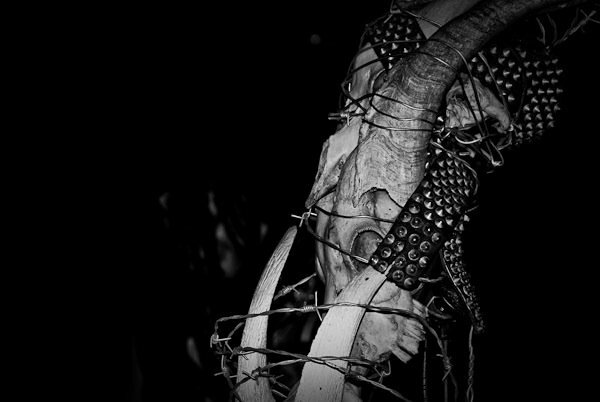 This interview is part of a series I’m doing in order to explore the dark and intriguing world of Australian (or in this case, New Zealand) black metal as well as spread the word about The Devil’s Arcana, a 2-day black metal festival taking place on March 30-31 here in Sydney, Australia. WULF: Something that is consistent with your band imagery is the pentagram-like symbol that appears on your t-shirts and logo. What does it mean? Also, without getting too much into personal beliefs, would you describe Vassafor as a Satanic band, or just heavily influenced/interested in occult themes? As with most bands of the black metal genre, I’m curious as to if there are any specific authors or literature that has inspired your music. VK: Vassafor is Black Metal and black metal is by definition Satanic….otherwise it isn’t BM to me. The symbol is a stylized representation of the demon’s face and also of His gateway. It is also the back piece I have had tattooed on me for many years now. My sources of inspiration certainly aren’t limited to authors only, but a lot of writing that has influenced me is nonfiction ie ONA texts, scientific books about physics or astronomy, modern primitive-ism style books, historical books as well as vedas, sagas, epics from certain cultures. Of fictional authors I have always loved the language and imagery of Baudelaire and Nikos Kazantzakis among others. WULF: Who is the operatic female vocalist for the song “Dreadnaught” off of your 2007 self-titled EP? Her voice is gorgeous, as is the piano arrangement. Did you play this piano part yourself? How did you get in contact with the opera singer, and is she a fan of Vassafor’s music? VK: I work as a sound engineer and had a job at Auckland University’s music conservatorium where this woman was a 3rd year student. “Thy Hand Belinda/Dido’s Lament” has long been one of my favorite pieces of music and when she broke into it as part of a weekly critique session it was amazing. A tutor accompanied her on the piano. I had already been writing Dreadnaught with this as an accompanying piece so I could’t help but think that Satan was smiling that day…. WULF: I read in a recent interview you did with Subcide Webzine that the lyrics to the song Vassafor were inspired by a vision you had while under the influence of psychedelics. I know that perhaps they do not serve as the best creative catalyst while in the studio, but do you find that using psychedelics helps prepare you for a live ritual? How do you prepare before a live performance, and is it something that the rest of the group takes part in? VK: I rarely do those kinds of drugs anymore. No real urge to do it & actually find it is far more difficult to get good results than any other way for me these days. I create music at will, fairly effortlessly now so I have nothing getting in the way of music vomiting out of my subconscious. What helps us as a band prepare for live ritual is creating the same environment every time we play together of dread and darkness to stimulate our atmosphere. Playing without breaks in dim light at absurdly loud volume, often we wear spikes and bones as we rehearse and I do it as I record….its got nothing to do with how it looks but everything to do with how it makes me/us feel while we are playing or recording…. WULF: According to the same interview, you mentioned that your new album will be called “Obsidian Codex”. Is this still true? Unfortunately I haven’t listened to your 2010 demo, so I’m curious as to how or if Vassafor’s musical style has evolved since the lineup has changed dramatically from 2007. Also, would you care to elaborate on this new album’s lyrical themes? VK: Obsidian Codex continues on the same evolution that all the recordings so far have done. More Vassaforian than ever, more variety in the scope of writing but definitely the darkest recording yet from us. The doom is slower and more apocalyptic, the faster blasts are more violent and savage and there is more chaos present than before. I think the most satisfying elements for me are that I have been able to write some songs that are more stylized than I have been able to achieve in the past. For example the final track Makutu is a song with no guitars but 2 basses and has a more Hellenic/Necromantia style feel to it as a tribute to the kind of BM that has influenced me so much, yet it still sounds like a Vassafor song. Same with Nemesis, our most epic song yet recorded, which drips evil venom yet moves at a funereal speed, most of the time anyway. The lyrics are still the same vein as the majority of past songs and releases we’ve done. But a few vary, for example of the 2 songs already mentioned, Makutu is a transcript from a sorcerer who was put to death in 19th century NZ for the laying a death curse upon people. His spell is the majority of the lyric. Nemesis is also based on an event in our not so distant past where a warrior was part of a raiding party versus a rival tribe/village and came back days later to find his people wiped out. As they had been picked off as well it was soon just him who remained as the last of his clan, so he became the thorn in his enemies side and would go and kill their children, then leave their partially eaten remains to be found. Total psychological terror! So the lyric is more about the mentality of becoming a Nemesis to those in your way among other aspects…. 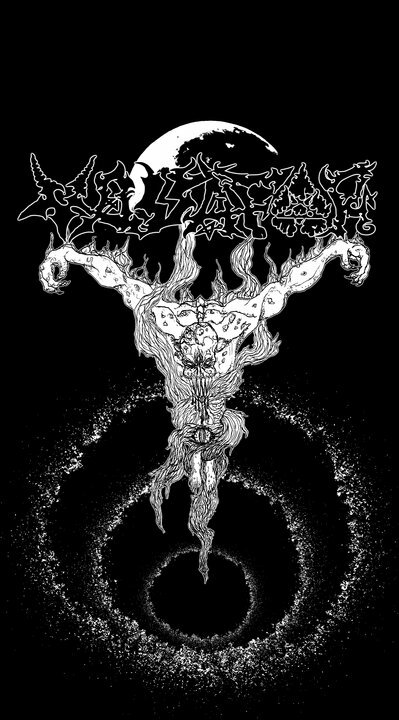 WULF: Before I came to Australia and started investigating the metal scene of Oceania the only extreme metal band I was familiar with from New Zealand was Ulcerate, who of course now are gaining a global following in the underground. Now I am listening to your band and am excited to see what else your country has to offer in terms of quality extreme metal. How has the success of bands such as yours and Ulcerate’s influenced the NZ scene, and are there any other NZ bands you would recommend checking out? There are now a few bands from our shores that have made an impact in metal scenes consciousness. The usual suspects should be well known to people who follow the underground. So it makes more sense to mention some of the more obscure bands that also deserve outside attention. 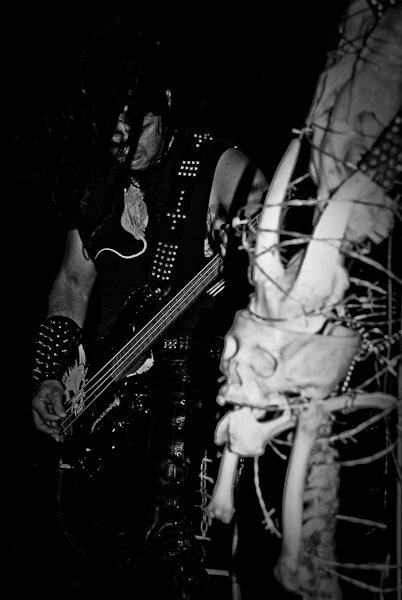 Sinistrous Diabolus, Skuldom, Anno Domini Mortus, Corpsefeast and Vanargandr are 5 utterly different sounding musical entities, yet all have a layer of obsidian in their sound. Vanargandr is at the absolute peak of their scene worldwide to my ears, they have been contributing to Vassafor’s last few recordings as well. And the pieces of theirs that are part of Obsidian Codex are a perfect compliment to our style…. 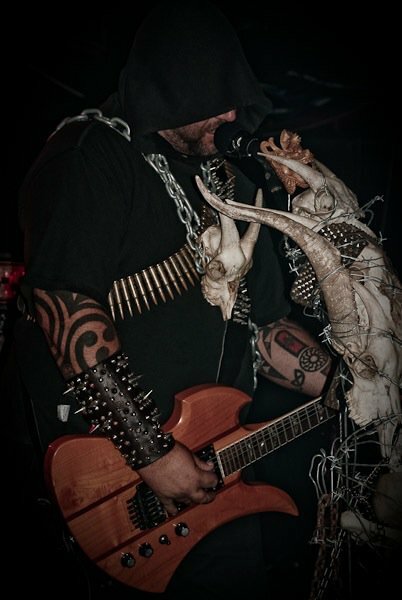 WULF: Judging by the pictures taken at some of your live rituals, I must say that it definitely evokes the same death-worshipping atmosphere that blew me away years ago while watching the original Texas Chainsaw Massacre from the ’70s. The barbaric and horrifying nature of the house where everyone gets killed may at first seem more suited towards imagery conceptualized by a gore metal band like Mortician, but I feel like in Vassafor’s case it’s much more in the tradition of black metal greats like Mayhem, only perhaps with a New Zealand twist. Do you feel like this is correct? New Zealand is considered by many to be the most beautiful place on earth, and it seems like nature has a strong influence on your wild, yet mystical music. What is the ideal way to experience a Vassafor recording? WULF: You will be in here in Sydney in a few days to perform at The Devil’s Arcana black metal festival. What can the audience expect from your live ritual? What are you hoping to accomplish? Also, are you behind the creation of your set design? It’s pretty incredible! WULF: When is your new album due out? What can you tell us about it? Also, what are your plans after The Devil’s Arcana? Are you planning on embarking on an Australian tour, or perhaps touring Europe or North/South America? VK: We are waiting for Obsidian Codex test presses to arrive. It is unfortunate that we won’t have our vinyl available for Sydney but the pressing plant has been horrifically slow. It doesn’t matter, it will be out sooner rather than later. We play alongside Inquisition at their Auckland date in early June and have plans for another date in NZ as well. Plans are afoot for a string of US shows later in year and it would appear that talks are going on for us and 2 excellent bands to play in Europe next year. Time will tell if that pans out. Our primary aim for this year is to record the next songs for a raft of split material we will work on for the rest of this year, starting with a split 12″ we will release with Sinistrous Diabolus. WULF: That’s all the questions I have! Any final comments?